As we age, sometimes the most simple and basic parts of our life become a bit more challenging. Everything from performing routine housework to preparing meals to getting dressed can sometimes become a bit of an inconvenience, and its times like these that we start to feel self-conscious and embarrassed of our inability to complete these simple tasks. The last thing we want to do as we age is to sacrifice our independence, and having to face these challenges makes us feel incapable. Thankfully, you don’t have to give up your independence because Your Healing Touch is here to help. At Your Healing Touch, we are committed to providing the citizens of the greater Indianapolis area with high-quality at-home care services. Whether you need help getting dressed in the morning, assistance with preparing meals, some light housework help, or you just need a person to provide you with companionship, Your Healing Touch aims to provide you with the absolute best in home care services. While we can’t do everything for you, we work hard to provide you with a wide variety of services to help you continue to live your life happily and independently. As we grow older, sometimes being able to do simple things like drive becomes a bit more difficult than usual. Eventually, out of frustration, we find ourselves driving less, instead waiting for a friend or family member to take us to run errands and the like. This can be frustrating, as waiting on someone else means that we have to work around their schedule. 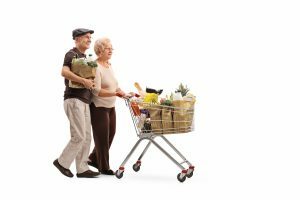 At Your Healing Touch, we are proud to provide errand transportation services for times like these, allowing you to get groceries, medication or do whatever other errands you need. There is a per-mileage pay charge that comes with these services and specific conditions that these services are provided under, specifically in relation to Medicaid Waiver applicants, but we are happy to provide you with these services as needed. At Your Healing Touch, we are happy to provide the greater Indianapolis area with the best at-home care services. Whether you need to run errands or are just looking for a helping hand around the house, we are here for you, so you can continue to live the life you want, free of obstacles and interruptions. Contact us today for more information about our high quality in home care services.